For complete information on the story behind the series, go to the Northkill website. ​In spite of overwhelming odds Jakob plots a perilous escape . But even if he succeeds, can he survive a harrowing journey over the hundreds of miles of rugged terrain that lie between him and his Northkill community? Does home still exist? Are his older son and daughter, Johannes and Barbara, still alive? Will he ever find his boys and bring them home? Drawn into the savage clashes of the French and Indian War, Jakob Hochstetler faces an impossible choice—and the irreversible consequences. Northkill is a fictional account closely based on the true story of Jacob Hochstetler and his family, who immigrated to this country in early 1738, seeking sanctuary from religious persecution and the freedom to live and worship according to their Anabaptist beliefs. By early 1739 they had settled with other members of their church in the Northkill Amish Mennonite community at the base of the Blue Mountains, near Northkill Creek, for which their community was named. Eighteen years later during the French and Indian War, early in the morning of September 20, 1757, their lives were forever changed when their home was attacked by a war party of Delaware and Shawnee. Three members of the family were killed, and Jacob and two of his sons were carried into captivity among the Indians. Based on the inspiring, true story of the authors' ancestors, Northkill will thrill and inspire readers with God's faithfulness to His children even in times of the deepest trial. Winner of Foreword Reviews' 2014 INDIEFAB Book of the Year Bronze Award for Historical Fiction! Bob Hostetler is an award-winning writer, editor, pastor, and speaker who traces his descent from two sons of Jakob Hochstetler: Johannes and Joseph. He has co-authored eleven books with Josh McDowell and won two Gold Medallion Awards, among others. Bob is a popular speaker at churches, conferences, and retreats. J. M. Hochstetler is a descendant of Jakob Hochstetler’s oldest son Johannes. An award-winning author, editor, and publisher, she is the daughter of Mennonite farmers and a lifelong student of history. the tumultuous birth of a nation . . .
For complete information on the series, go to the American Patriot Series website. The American Patriot Series sweeps readers into a tumultuous world of revolution. 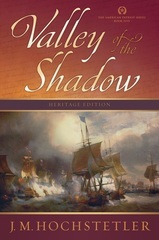 Beginning in April 1775, Daughter of Liberty and its sequels, Native Son and Wind of the Spirit, set in motion the thrilling saga that will follow Elizabeth Howard and Jonathan Carleton as they face the devastation and triumphs of war—from the American colonists’ first armed confrontation with the British, to the spreading inferno along the frontiers of Indian territory, through the battles raging in the Middle and Southern colonies and on the high seas, and at last to the final, decisive assault at Yorktown. In this vivid retelling of our nation’s founding, the actual historical events, including the real British and colonial leaders who provided the catalyst for them and breathtaking moment-by-moment recreations of pivotal battles, converge with two compelling characters in a suspense-filled story of espionage, intrigue, and romance. A beautiful rebel spy and a British officer in whose charm lies her greatest danger fight a war of wits and words—and a love that cannot be denied. Eastertide, April 1775. In the blockaded port of Boston, Elizabeth Howard plays a dangerous game. As the infamous courier Oriole, she is hunted by the British for smuggling intelligence and munitions to the Sons of Liberty by night, while by day she flirts with British officers to gain access to information the rebels so desperately need. But she hasn’t counted on the arrival of Jonathan Carleton, an officer in the Seventeenth Light Dragoons. To her dismay, the attraction between them is immediate, powerful—and fought on both sides in a war of wits and words. When Carleton wins the assignment to ferret out Oriole, Elizabeth can no longer deny that he is not only her most dangerous foe, but also the possessor of her heart. As the first blood is spilled at Lexington and Concord, Carleton fights his own private battle of faith. And headstrong Elizabeth learns the bitter consequences of following her impulsive heart when her dangerous role thrusts her into the carnage of Bunker Hill. Trade paperback, 6” x 9", 432 pp. Brigadier General Jonathan Carleton has pledged his allegiance to newly elected commander of the rebel army, General George Washington. But his heart belongs to fiery Elizabeth Howard, who charms British officers by day and by night delivers their secrets to the Sons of Liberty. Their plans to marry are put on hold, however, when Washington orders Carleton to undertake a perilous journey deep into Indian territory, while Elizabeth continues spying on the British. Within weeks she learns that Carleton has been captured by the Seneca. Despite all attempts to find him, his fate remains shrouded in mystery. Enslaved by the Seneca, Carleton is finally rescued by a band of Shawnee and taken into Ohio Territory, where he is adopted as the warrior White Eagle and rises to become war chief. Drawn into a bitter war against white settlers who threaten to overrun Shawnee lands, he must walk a treacherous tightrope between a rival who will stop at nothing to destroy him, the seductions of a beautiful widow . . . and the longing for Elizabeth that will not give him peace. Abandoning Boston, British General William Howe prepares to unleash an overwhelming invasion force against the badly outmatched American army at New York City. With battle looming, reports filter in that a new Shawnee war chief named White Eagle is leading devastating raids against British and American outposts in Ohio Territory. Trade paperback, 6” x 9", 368 pp. Can her love bridge the miles that separate them—and the savage bonds that threaten to tear him forever from her arms? Elizabeth Howard’s assignment to gain crucial intelligence for General Washington leads her into the very maw of war at the Battle of Brooklyn Heights, where disaster threatens to end the American rebellion. Yet her heart is fixed on Jonathan Carleton, whose whereabouts remain unknown more than a year after he disappeared into the wilderness. Carleton, now the Shawnee war chief White Eagle, is caught in a bitter war of his own—against the white settlers encroaching on Shawnee lands, the seductions of a beautiful widow, and the schemes of a vengeful shaman. But as unseen forces gather to destroy him, his most unyielding foe is the love for Elizabeth that holds his heart captive..
Trade paperback , 6 x 9, 368 pp. She rescued him from the hangman's noose. Now, in the patriots' darkest hour, can he save her from an even more desperate fate? 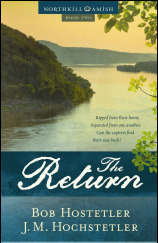 Returning from the Shawnee, Brigadier General Jonathan Carleton rejoins General George Washington’s army to find the patriot cause on the verge of extinction. In a daring gamble the American force crosses the Delaware on Christmas night 1776, to defeat outposts at Trenton and Princeton before vanishing into the mountain bastions around Morristown. Trade paperback, 6” x 9", 424 pp. Following a humiliating defeat at Philadelphia and a rival's stunning victory at Saratoga, Washington’s army faces yet another bitter winter, this time at Valley Forge. Meanwhile, General Jonathan Carleton races to save Elizabeth Howard from the horrors of the prison ships in the British stronghold at New York, while British General William Howe plots to execute them both. Can they find their way back to each other’s arms, or will the Refiner’s Fire finally separate them forever? While the Continental Army endures a desperate winter at Valley Forge, le comte de Caledonne secretly sweeps Elizabeth away to France out of the reach of British assassins. Meanwhile General Jonathan Carleton, the Shawnee war chief White Eagle, returns to his people as General George Washington’s emissary, doubting that he will ever return to the white world. But as the war between America and Britain shifts into the fragile republic’s heartland at Monmouth Court House, sinister schemes draw Jonathan and Elizabeth into their own separate maelstroms. Can they survive the refining fire of war to find each other again? An award-winning author and editor, J. M. Hochstetler is the daughter of Mennonite farmers, a graduate of Indiana University, and a lifelong student of history. Northkill, Book 1 of the Northkill Amish Series written with Bob Hostetler, is the 2014 INDIEFAB Book of the Year Bronze Award winner for historical fiction. Her contemporary novel One Holy Night was the Christian Small Publishers 2009 Book of the Year and a finalist for the 2009 American Christian Fiction Writers Carol Award.